This materials from this webinar is now available for free download. The pack will include the audio and visual recordings, slide deck, and the webinar book. The webinar book includes the session’s transcript with corresponding slides, the live chat stream and presenter notes. how best to influence your target audience. Pro Bono Australia, in collaboration with the Human Rights Law Centre, is launched a new report, Civil Voices, which researched the state of not-for-profit advocacy. Based on the findings of Civil Voices, this webinar will provide unique insights into how to overcome the real and perceived fears not-for-profit organisations face when advocating. Join sector experts Murray Baird, ACNC Assistant Commissioner, General Counsel, Marc Purcell, ACFID CEO, and Krystian Seibert, Philanthropy Australia Advocacy & Insight Manager as they arm you with the tools you need to amplify your advocacy efforts. In this interactive webinar, you’ll have the opportunity to have your questions answered live by the panel. Can’t make the date? All registered participants will be sent a post-webinar pack three business days after the session. The packs include the audio and visual recordings, slide deck, and webinar book. Murray Baird joined ACNC after a career as a private legal practitioner practising in not-for-profit and charity law and governance. He was previously Senior Partner and leader of the not-for-profit group at Moores Legal, Melbourne. As well as advising, writing and presenting on not-for-profit legal issues, Murray has acted in several leading cases in the field of charity law. Krystian has broad experience in public policy development, and an in-depth awareness of government, legislative and political processes. He has particular expertise in not-for-profit sector policy and in regulatory reform. Krystian is an Adjunct Industry Fellow at the Centre for Social Impact at Swinburne University of Technology and is a Board Member of Mental Health First Aid Australia. He regularly writes about matters relating to philanthropy, the not-for-profit sector and public policy, with his contributions featuring in both sector news and peer-reviewed publications. Emily Howie has worked with the HRLC since 2009 protecting human rights in Australian foreign policy, defending democratic freedoms such as the right to vote as well as anti-racism and minority rights issues. She also works on accountability for Australia’s actions overseas such as border protection measures and military cooperation, including Australia’s involvement in the US drone program. Emily has a masters in law from Columbia University in New York. In 2012 she was awarded Columbia’s Leebron Human Rights Fellowship to conduct research on asylum seekers in Sri Lanka. Prior to joining the HRLC, Emily worked as a Senior Associate with Allens Arthur Robinson, a legal adviser to the House of Representatives Legal and Constitutional Affairs Committee, and in the Trial Chambers of the International Criminal Tribunal for the Former Yugoslavia.  Civil Voices is a joint collaboration between Pro Bono Australia and the Human Rights Law Centre.